Vaccinations can be divided into two main groups; the group that every horse should get every year, and the group that only is given to those horses at risk of exposure to those diseases. Some diseases (like Rabies and Tetanus) are a threat to every horse, no matter what their lifestyle. Others diseases (like Potomac Horse Fever or Strangles) are only a threat to horses that live in certain areas or regularly come into contact with outside horses. 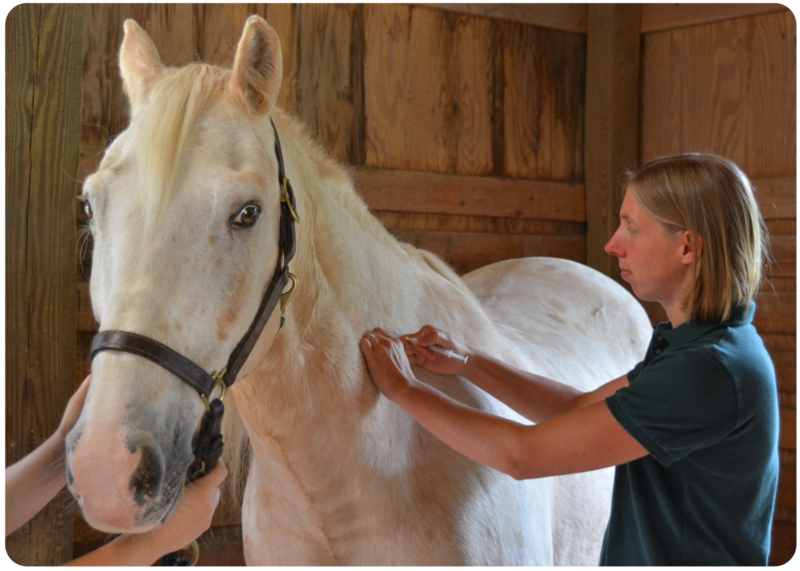 Some horses such as pregnant mares and foals require much more specific vaccination schedules. Below are links to download a sheet detailing what these special types of horses should receive and when. Each horse should be assessed to determine the best vaccination program, but here are some guidelines. *Core vaccines recommended for all horses.